High quality potable water is the primary and most important ingredient in the majority of food and beverage products. It starts with the water used to grow the grain and ends with the water used to pasteurize packaging at the end of the manufacturing process. As a whole, the industry is one of the largest industrial consumers of water in the world. Most large food and beverage processing companies understand the importance of reliable clean water and have already begun taking steps to reduce their water usage. 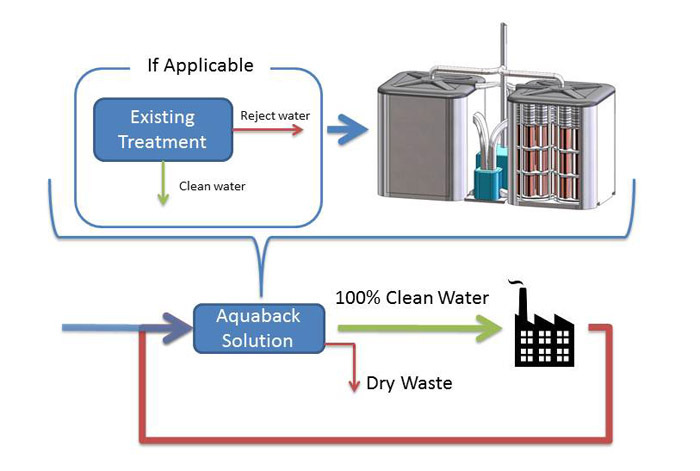 Many of these initiatives typically involve reducing flow rates or recycling some water that doesn't necessarily have to be clean to perform its job. Until now there hasn't been an economical way to drastically reduce the amount of water used when creating food and beverage products.